Do you care for me beyond idolization? Finally! Now I can start being excited. 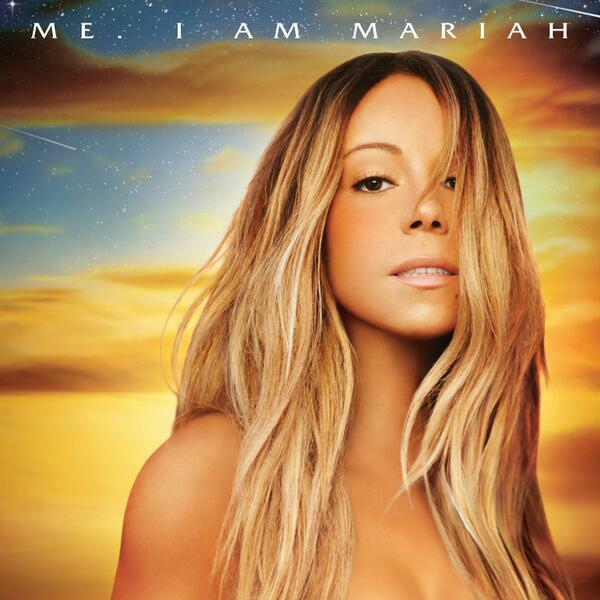 Hate the elusive chanteuse, the album cover is exactly what I expected. But at least it's not as bad as Memoirs. I can't believe she's going to give us Betcha and It's a Wrap. For real? Why not Skydiving? That is one tacky title. Still excited for this tho, yay! I'm loving the titles too. Supernatural, Camouflage, Meteorite. Yahs gurl. What if it's a two part album? Me. 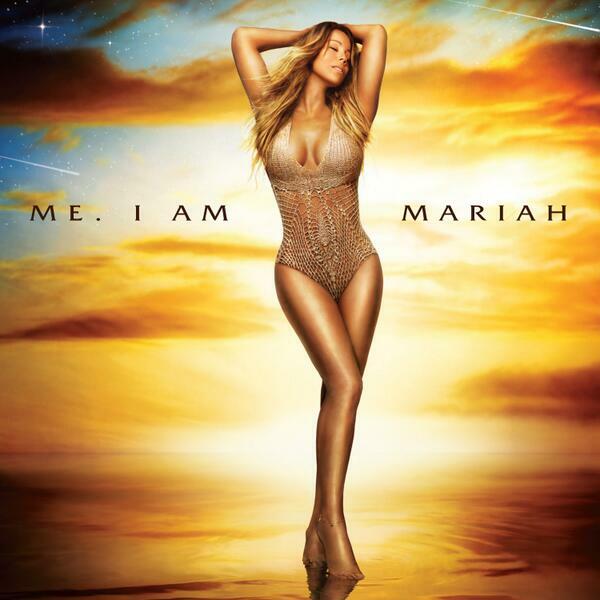 I am Mariah is Mariah's album AND The Elusive Chanteuse is Monroe's debut album. 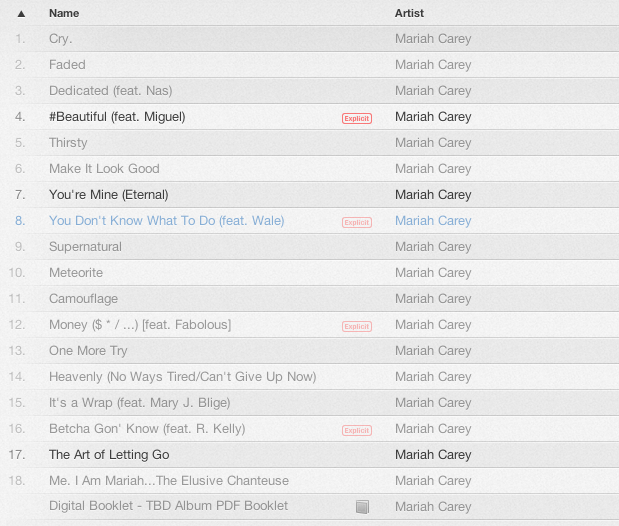 I find it weird that she's including the remixes of "It's a Wrap" and "Betcha Gon' Know". Hoping for some resung vocals! That title is a messssss. She really is the queen of Photo-shop isn't she!, those thighs!!!! The title.. she can't be serious! I love the album cover though, especially for the standard version. Excited for the album. I like the deluxe album cover, it's better then the standard one, imo. I see a lot of new songwriters ..right? btw - what's with the new versions of 'It's A Wrap' and 'Betcha Gon' Know'... I mean, MOAIA era, come on. Ain't nobody got time for that.